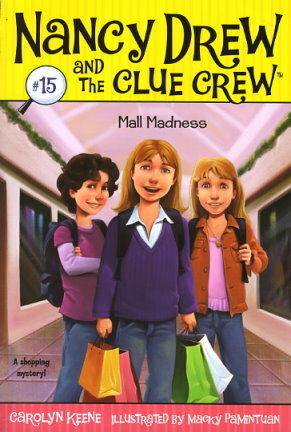 The Clue Crew is headed to the mall! They are ready to shop till they drop for new school supplies. First stop: the Pencil Box for glittery notebooks. But right away it looks like the girls have a back-to-school mystery on their hands. Money is missing from the Pencil Box's cash register, and all fingers point to the clerk, Rodger. Rodger is Nancy's neighbor, and she doesn't believe he's a thief. But she'll need to examine the facts first. Good thing she bought a new notebook!